Because there are no bulbs in the 2010-onward rear lights, so where are you gonna plug that in exactly? Those are just resistors in boxes with plugs on them, the exact same end result as adding ballast resistors to the wires. I guess IF the resistance values are correct, you could snip the connectors off, and use the boxes instead of ‘rolling your own’ per the George Kale PDF. Okay, so I need to know the resistance of these boxes anyway. I have now read about 3 different values of the resistors to get it to work so thought this might work differently. Cambo used a 6, 8 and a 12 Ohm resistors while George used 35 and a 50 Ohm resistor and another used around 9 Ohm resistors. You read load, cheramic and wirewound resistors which confuses me. Can I ask what year LED rears became standard on the rear, noticed 2010 mentioned but was that 2011 MY? Ask as am looking at buying a 2010 portfolio, which may/not have them? The downside of LED cluster lights has always been the comparative hike in price compared to just normal filament bulbs should they fail. UK years are one less than the US cars. A 2010 5.0 is the same as a 2009 UK 5.0 and the first year of the X150 body was 2006 in UK, 2007 in USA. I have just done this myself a few months ago (see my pics on recent post). The full kit isn't cheap (over £1000) but cheaper to source the lights yourself and buy the harness kit from adamesh for a few of hundred I seem to remember. 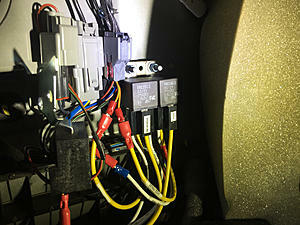 If your pretty competent you should be able to follow the wiring instructions. I rang up to clarify a couple of small things but Geoff was very helpful and was worth buying the kit than try and source the bits myself. The other resistor method will work I'm sure but they can overheat? and takes longer to do! This kit mounts trailer tail lights behind the side panels so you don't see them and works by getting the right resistance so no error codes. Looks great though so go for it! 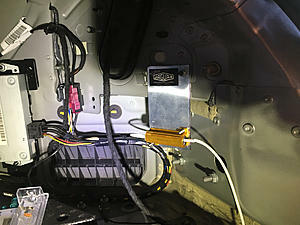 This is how I mounted the resistors, on plates so they are in the air, the heat is not a problem. Last edited by Cambo; 08-16-2018 at 06:08 PM. And what happens when a bulb fails that you can't see? I know, easy to replace but not necessarily so obvious at first. 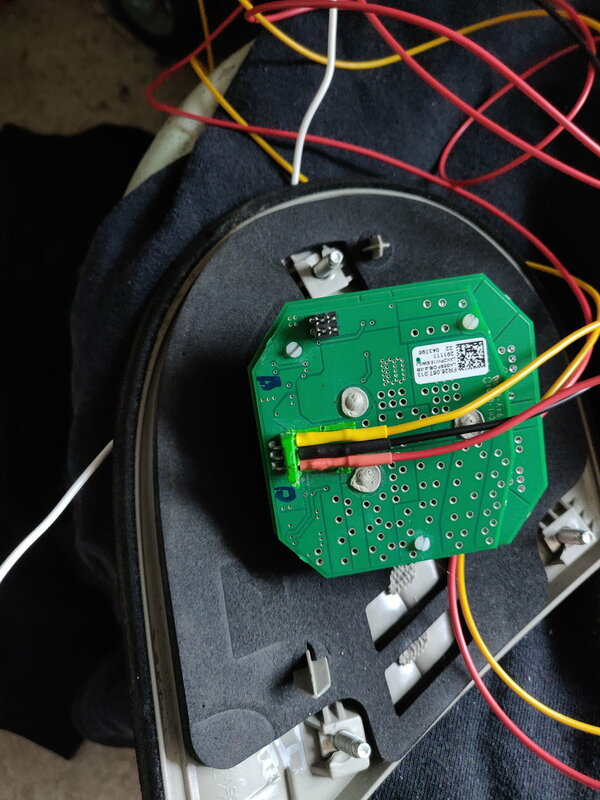 I made my own harness and used resistors as well. The resistors get extremely hot but I've had them for a few years and no issues thus far. 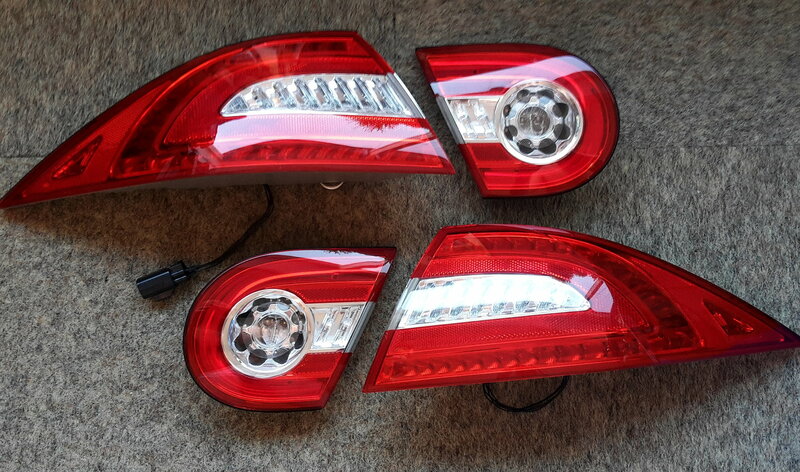 I was planning to install the newer led rearlights on my '06 XK, but sold the car unexpectedly yesterday. I'm left with the lights now, so if anyone reading this might be interested, i'm asking 700 Euro (thats about 800dollar or 630pound). Located in the Netherlands but i can ship worldwide no problem. Lights are in brandnew condition, only missing the wiringharness to make them work correctly. They are on the car and working! As different people here give different resistance on resistors I choose to go the bulb way. I used T10 socket with 16w bulbs, made a bracket and works! Really easy to change a bulb if one should brake but how often do they break? As for the connector I couldn't get the pins out to relocate them so I cut the connector off and also cut the connector off inside the car where I connected it all together. 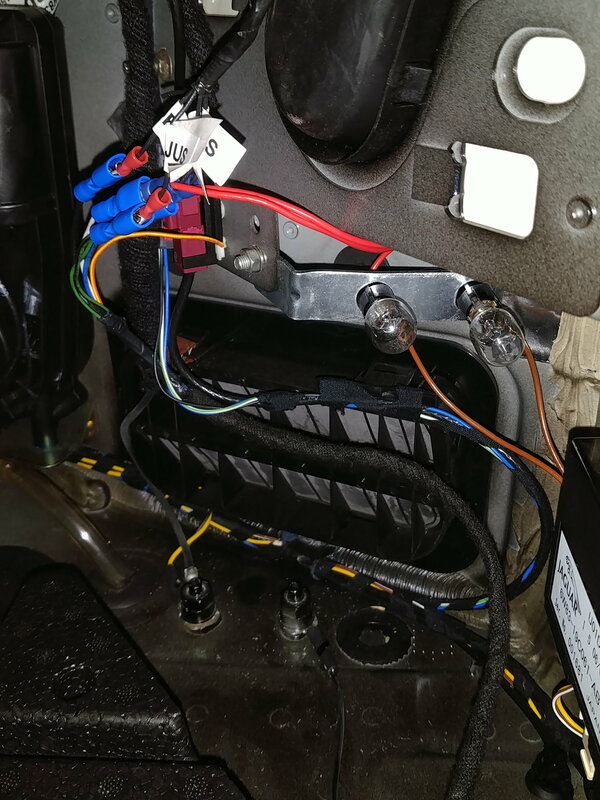 For connectors & terminals you don't need to just look for an XK you'll find other Jaguars with similar connectors & even Ford & Volvo - remember who owned Jag when your car was made. 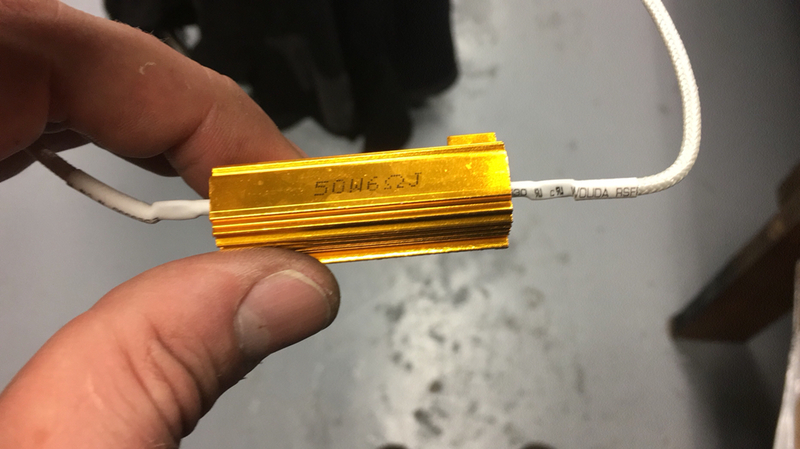 I had success walking a scrap yard and even asking an ebay seller to remove the connector from the window switch he was selling & sell it to me independently of the switch . Good luck. Couldn't find a car of which I could get the connectors so I soldered the wires directly. 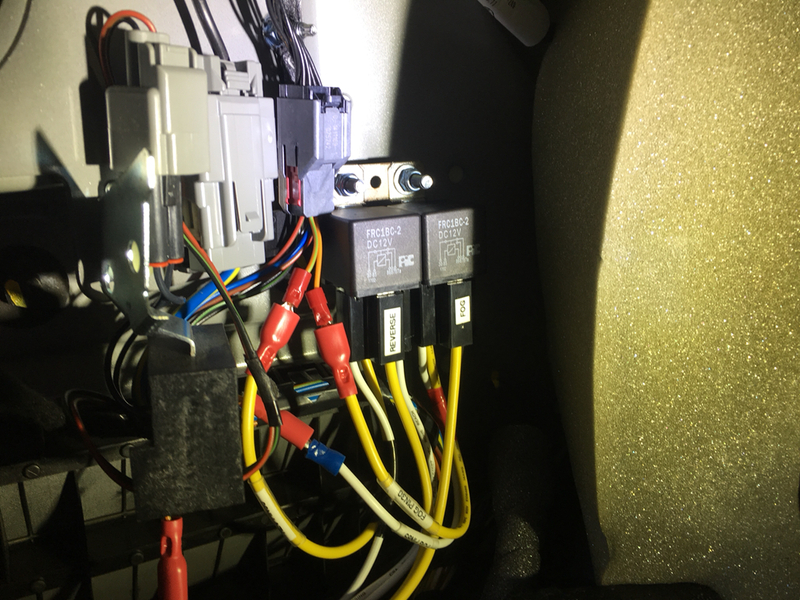 I've read you need relays for it to work cause they will flicker and turn off if you connect both fog lights directly due to bigger load with 2 lights. 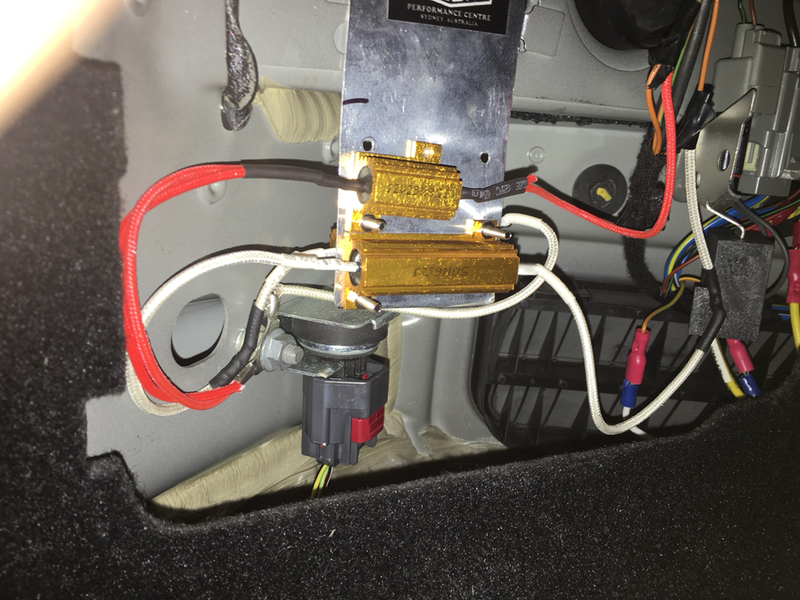 Today I tested connecting the fog lights directly to the car and they lid up just fine, no flickering or turning off!? I haven't tried the reverse side yet as the car is of the road and didn't want to start the car to get it into reverse. Will I get the problem or does it differ between cars that some work and some need relays? I think even George Kale said that you may or may not need the relays. Mine needed them, as they would turn off without them (although I was testing with the backup lights). So you may be lucky, but you won’t be sure until you check the backup lights.